Mona Lau is an Associate Consultant of the FutureWork Institute. She is a renowned leader of Global Diversity work from Wall Street to Continental Europe and multiple countries in Asia. She was a co-founder of Women on Wall Street, European Women in Business, as well as a pioneer in creating integrated global talent management systems. Her approach to Diversity has consistently focused on aligning workforce management with successful business strategies. Mona’s expertise spans the full range of Human Resources functions, including talent sourcing, leadership development, flexible benefits, employee engagement and measurement and analytics. She started her career as a management consultant with Deloitte & Touche where she consulted with major organizations in private and public sectors on HR talent management, operational improvement, litigation support, and marketing projects. She then moved to Wall Street and became the Managing Director of Globalization & Diversity, Talent Mobility, and Executive Education for Bankers Trust. It was at Bankers that she co-founded and trademarked the annual Women on Wall Street conference to provide a networking and training platform for all professional women in competitor and client firms alike. This conference has remained the preeminent networking platform on Wall Street. Her work in Europe and Asia became a full time commitment when she joined Deutsche Bank as their Global Head of Diversity. There she and her team monitored global workforce trends pertaining to race, gender, age, sexual orientation and disability, and consulted with EU and regional labor representatives on anti-discrimination and working condition issues. They built corporate Diversity initiatives to focus on recruiting, training, development and legal issues in Germany, UK and the US. Senior management was involved to help improve global team effectiveness, cross-cultural communication and corporate branding. Mona spent the longest portion of her career at UBS where she served multiple senior executive roles in Global Diversity, Recruiting, Employee Engagement and Development & Internal Mobility. With the support of the CEO and the Group Executive Board, she established and led 10 Regional Diversity Boards of local business leaders to implement UBS’ global Diversity strategies in APAC, EMEA and the US. She had notable success in designing and rolling out a series of UBS Career Comeback programs in partnership with top business schools in the US, UK, Singapore, Australia and Hong Kong. These programs developed an alternative talent source by assisting professionals, women and men, to re-enter the workforce. She also led firm-wide diversity efforts to attract and retain top performing working mothers. During her tenure, UBS was recognized as one of the “Top Ten Companies for Working Mothers”. 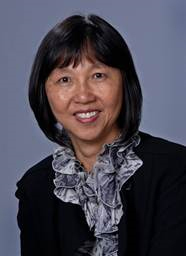 In addition, Dr. Lau’s experience includes not-for-profit organizations also. She has performed pro bono consulting work with the United Nations and other organizations as well as served as the Vice President of Human Resources at Save the Children. She holds a Ph.D in Industrial & Organizational Psychology from New York University, a B.Soc.Sc. from the University of Hong Kong, and is a New York state licensed psychologist. She has spoken at numerous professional conferences, major universities, and executive forums on Global Diversity and Talent Management topics.